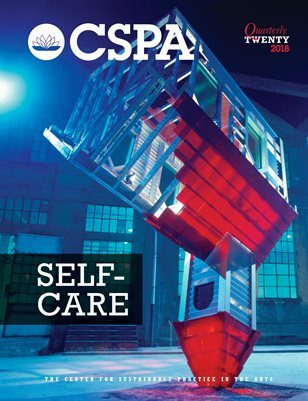 For this, our 20th issue, we take a moment to look back at the history of the quarterly, and examine our own self-care, while inviting contributions from artists and thinkers who address self-care in their process and practice. How do we sustain ourselves, when everything around us demands sustenance? Featuring contributions from John K. Grande, Perdita Phillips, Ernesto Pujol, Sarah Berkeley, and more.